I like stories about family dynamics and how they are affected by tragedies, so this one seemed to be right up my alley. It's largely about the upheaval the Campbells experience in their personal and familial lives as financial pressures force them to move from their family estate to a smaller cottage and turn the manor house into a museum. There are issues with living in a smaller space, giving up privacy, and tension between family members, all exacerbated when the aforementioned tragedy occurs. It should have been in my wheelhouse, but something about it fell flat. I never really came to care about the family members or their situation and the tragedy could be seen coming from a mile away. It wasn't bad, but I wasn't super excited about it either. I can't come up with any Reader Friends who I think would enjoy it, either, which is always a bummer. A literary mystery/thriller set on a college campus? I'll take it! While it's not as fast-paced or as intriguing as I would have liked, I still thoroughly enjoyed this read, especially since I read it right as the semester was getting started. I came to care about the characters and was desperate to get to the big reveal at the end. As much as I was anticipating the reveal of the twist, it was a bit anti-climactic when it finally happened. It won't make it to any of my best of lists, but if you're interested in the setting, you may want to give it a try. This one is short, but it packs a huge punch. 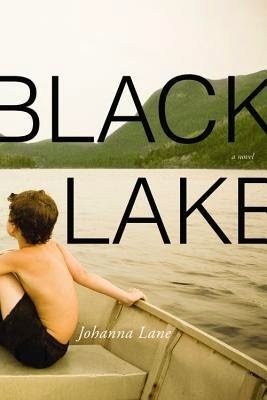 Another book about family dynamics and how they are changed in the face of tragedy, this one completely delivered in terms of psychological drama and the roles we each play in our families. The writing is just beautiful and I was completely captivated by each member of the family and how their relationships have grown and changed leading up to and after Lydia's death. 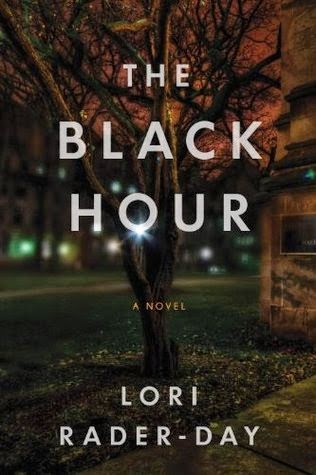 I highly recommend this one for fans of literary fiction and family drama. So in addition to family drama and academic settings, I'm also drawn to kidnapping stories and young female narrators. 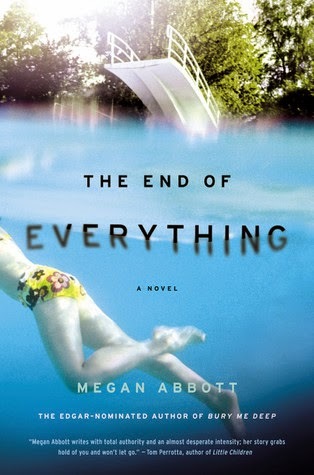 I'm also obsessed with Megan Abbott and everything she does, so this backlist title of hers was a must-read. I'm so glad I picked it up, because, as much as I've enjoyed Dare Me and The Fever, this one may just be my favorite. It's as dark and psychologically twisty as the other two, but I connected with Lizzie in a way that I didn't with the characters in Dare Me and The Fever. 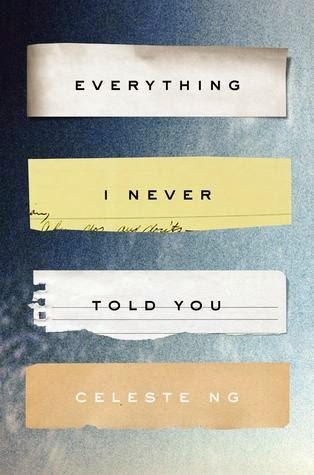 I read this one in a single night, staying up until 2 to finish because I just couldn't put it down. Perry and Baby Girl are best friends, though you wouldn’t know it if you met them. Their friendship is woven from the threads of never-ending dares and power struggles, their loyalty fierce but incredibly fraught. They spend their nights sneaking out of their trailers, stealing cars for joyrides, and doing all they can to appear hard to the outside world. With all their energy focused on deceiving themselves and the people around them, they don’t know that real danger lurks: Jamey, an alleged high school student from a nearby town, has been pining after Perry from behind the computer screen in his mother’s trailer for some time now, following Perry and Baby Girl’s every move—on Facebook, via instant messaging and text,and, unbeknownst to the girls, in person. When Perry and Baby Girl finally agree to meet Jamey face-to-face, they quickly realize he’s far from the shy high school boy they thought he was, and they’ll do whatever is necessary to protect themselves. Another one that on paper appeared to be right up my alley. Young female protagonists, internet drama/suspense, and fraught relationships. Honestly, though, this is quite possibly the most depressing book I've ever read. Everyone is so poor. So, so poor. And they'll never, ever escape poverty, no matter what they do or how hard they try. Almost no decent adults, generally horrible parents, and the bleakest ending you can possibly imagine. It's just horrible. Every person is horrible, every situation is horrible, but none of it in a good way. Just in a depressing, horrible, miserable way. I had to binge on YA romance short stories to clear my brain after this one. Thanks, I'll add these to my list! The library actually ordered for me, gasp!, The Girl With All The Gifts, Confessions, Station Eleven and Damsel Distressed. I'm dying!! I can't go get them till Thursday and I was actually planning on starting these Jan. 1. I can't wait! I'm rambling because I believe you were the one who recommended these. 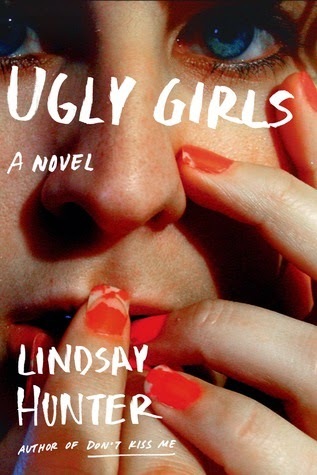 I have heard Ugly Girls is horrific, but I do want to read it. I can't wait to hear what you think of all of them! And once you read Ugly Girls, you'll have to tell me what you think of that one. I have no complaints regarding the writing itself, just the bleakness that overwhelmed me. Can't wait to hear your thoughts!